You shouldn't wait for the information sessions to tour schools though. Tours are ongoing through March, but the dates are limited and you have the opportunity to list up to 12 schools on your application, so you should see the schools to know if you want to list them or not. Looking at school data (mostly from test scores) won't give you information about the prek programs. The classrooms are capped at 18 students with two teachers for a 1:9 ratio. Some classrooms are half day and some are full day, but all are 5 days a week. 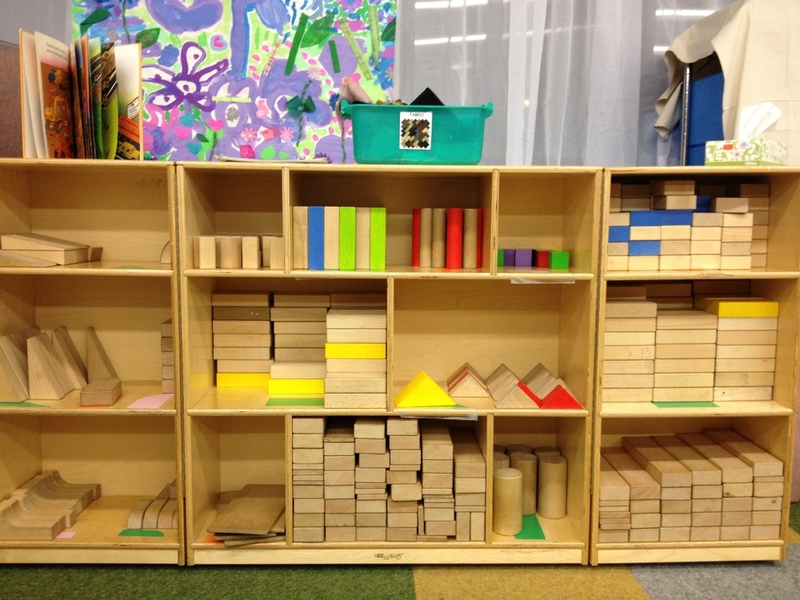 Does the classroom have lots of materials (art materials, blocks, books, dramatic play like dress up and play kitchen etc., science explorations like growing things or pets)? When you walk into a great classroom you can see the intellectual curiosity - it will be clear. You don't need a smart board in prek. You need loving and creative teachers who are willing to get down on the ground and help the children explore in a million different ways, in whatever direction their questions take them. I have the pleasure to see a lot of exciting classrooms on tours. Last week I visited PS 250 and I was blown away by the spectacular prek classroom that I saw there; collections, experiments, kids in dress up helping each other and totally engaged, with teachers who are obviously inspired with new ways of thinking every day. You list up to 12 programs on the application. The spots are assigned according to a lottery with priorities. Essentially in this order: in-zone siblings, in-zone families, out of zone siblings, out of zone but in district families, out of district families. There are many families trying for these free programs and not enough seats in many of the programs. The first round placements are announced the week of June 11. If you are currently attending a private program, you will have to pay your first tuition payment long before you will hear about a public placement. This is a problem and there is no way around it unless your preschool has an exceptionally lenient policy. There is no waitlist. Placement is made for the exact number of seats and families are given a week to register at the schools. If there are seats left over, they go into the second round. The second round is the same process all over again, just faster. You can list different schools in different order. Placement is usually made right before school begins. And REMEMBER, this process is totally different from the kindergarten registration process! There are enough seats at kindergarten for everyone. If you want more info on all of this I am giving my "Intro to Public School: Prek and Kindergarten" talks this week.